Authorities are investigating after a group of migrants were found at Fort Lauderdale Beach Thursday morning. 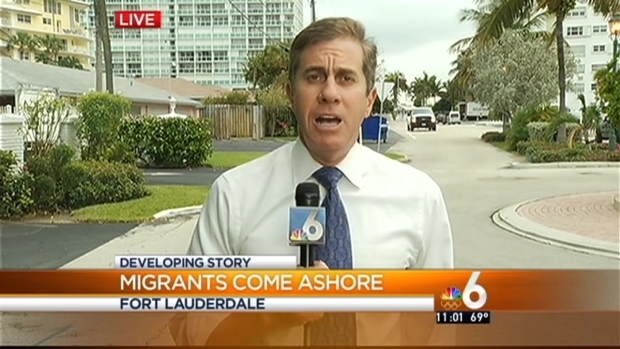 A migrant died and another eight were detained after they were found in the area of Fort Lauderdale Beach Thursday morning, authorities said. The group of migrants, believed to be from Haiti, were found in the 1800 block of South Ocean Lane, Fort Lauderdale Police spokeswoman Det. DeAnna Greenlaw said. One of the men was found unresponsive by a lifeguard and was taken to a local hospital where he later died, Customs spokeswoman Elee Erice said. Authorities are investigating after a group of migrants were found at Fort Lauderdale Beach Thursday morning. The group of migrants, believed to be from Haiti, were found in the 1700 block of South Ocean Lane, Fort Lauderdale Police spokeswoman DeAnna Greenlaw said. Surfer Mike Johnston said the man was given CPR for 15 minutes. 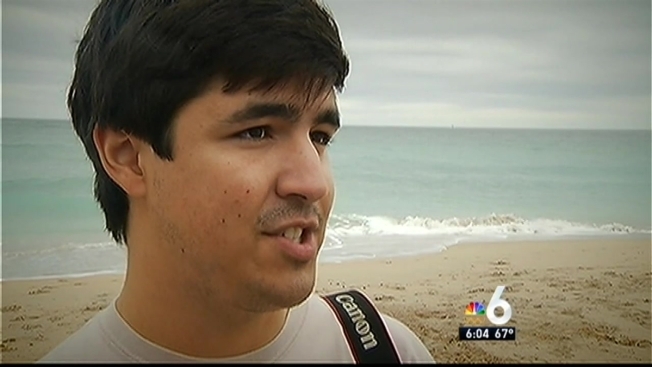 His friend Marco Arroyo, who brought his camera to the beach, took photos as the limp man was pulled out of the surf and as lifeguards tried to save him. “It was pretty surreal. I mean, I'd never seen a dead body up close and personal,” Arroyo said. “Of course, in this situation we came on the beach to relax, have fun, and it was pretty weird." Arroyo also captured the moment as survivors were met at the beach by police. Fort Lauderdale Police and U.S. Customs and Border Protection officers responded to the area to assure all individuals were located and accounted for, Greenlaw said. The Border Patrol said later, however, that it believes there were some migrants who made it on shore who melded into society and were not taken into custody. "They are not all that concerned with their safety. The boats are usually overloaded with people, and today's a good example of the wanton disregard these smugglers utilize when attempting to exploit the Florida coastline," said Michael Flanagan, with Border Patrol. Arroyo said the experience is one he will never forget. "This shows the lengths that people will go to just to get on our soil, get a better life,” he said.